Information Technology students are prepared for the CompTIA A+ and Network+ exams upon successful completion of this two-year program. Many students continue their education through WCCC Adult Education IT programs, or a two-year or four-year college majoring in one of the fastest-growing career fields. Entering the workforce is another option students may take immediately upon high school graduation. The program utilizes a combination of web-based, instructor-led learning and hands-on labs. The IT courses offered through WCCC are eligible for college credit with Ohio colleges and universities. All Information Technology students will have the opportunity to job shadow during their training. Students may be eligible to apply for summer internships after their junior and/or senior years. Seniors may be eligible for early job placement during the second half of the school year. 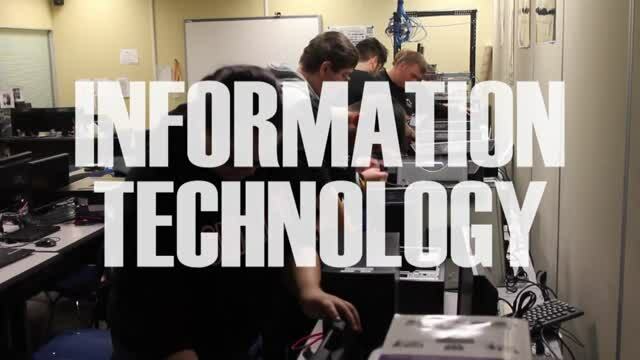 Information Technology students participate in SkillsUSA, a partnership of students, teachers and industry, working together to ensure America has a skilled workforce. All students also have the opportunity to participate in the Tech Prep Showcase through the Miami Valley Tech Prep Consortium. Contact instructor Ryan Burgess at 513-932-5677 ext. 5557, Ryan.Burgess@mywccc.org. Information Technology satellite programs are available at Kings High School, Instructor Reggie Holtrey, Reggie.Holtrey@mywccc.org; Little Miami High School, Instructor Diana Marks, Diana.Marks@mywccc.org; Lebanon High School, Instructor Jenny Culbertson, Jenny.Culbertson@mywccc.org; Springboro High School, Instructor Jenifer Conard Jenifer.Conard@mywccc.org; and Franklin High School and Waynesville High School, Instructor. Students in these programs participate in Business Professionals of America, a national Career-Technical Student Organization serving students in Business and Technology Career Technical programs, dedicated to the advancement of leadership, citizenship, academic, and technological skills. All students also have the opportunity to participate in the Tech Prep Showcase through the Miami Valley Tech Prep Consortium.